You never cease to amaze me! 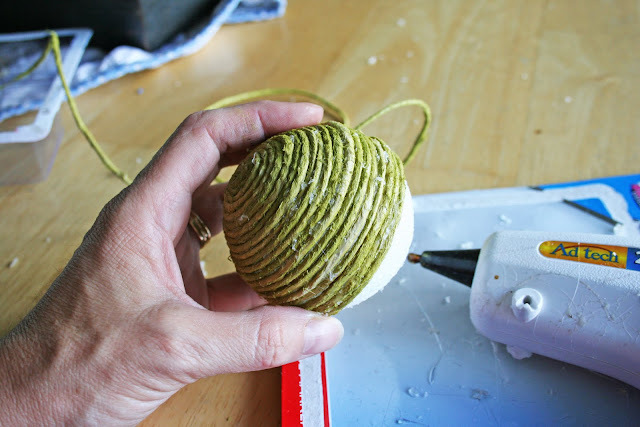 I made some twine balls once but never thought to spray paint them! I absolutely love love love the green and have to try this!!! Your display looks so awesome! Oh my I think I could do this.. thanks for the post. Love this idea,,thanks for the lesson, going to try with red as well.. thank you! just perfect!! Love those!Love the price. Fabulous as always. Love the idea and the paint color. looks great. I was going to figure out how to make some of these in colors I liked and you just saved me the trouble. I even have the ivy leaf spray paint already! Love these! I am definitely going to have to try it. Thanks for sharing the paint name! Sorry to be thinking so far ahead, but how cool would those be come Christmas time mixed in with just the right ornaments! Very neat tutorial, thanks for sharing. your gears are always turning. Love the tutorial. I love a lot of the Pottery Barn stuff and will occassionally try and see if I can come up with a way to make it myself...but I am not as successful with my idea all the time. LOL, they are great in my head and then I do the prototype and it's a mess. Love them...and look how much money you just saved yourself! Thats a pretty awesome idea there missy. I will have to give it a try. Boy do I love pottery barn. What an awesome tutorial! You are a genius! 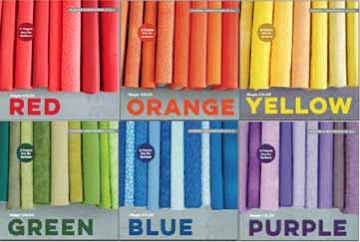 I already have spray painted plates hanging in my kitchen and I am sure these will make it into my den! Thanks so much! I can't wait to make some of these! I'll be featuring today! Oh my goodness!!! Don't you just LUV spray paint? I was introduced to it by my son that does some really creative art with it. Since then I have been eyeing things to spray paint. I'm running to Wally World today. I totally luv your site. Cool! Can you believe I don't have a glue gun though?! Need to get one! you are the smartest person i know. seriously. for real. i may even try this at my brother's house this week! GET OUT! 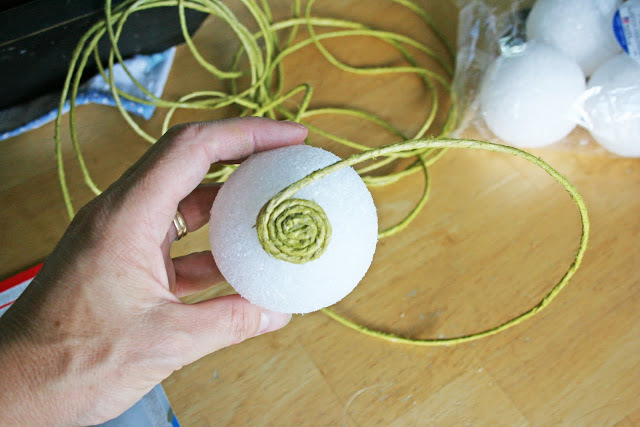 I saw someone else make some different decorative balls, and now I can COMBINE the two! SO STINKEN CUTE! THanks! What a super idea and thanks so much for the great tutorial. I have some of the stuff already on hand, but will need to pick up a few things. Love the green color also. Thanks for sharing:). oh my you rock! i adore spray paint and cheap projects. I totally stumbled this. Pottery Barn is so overpriced, nice work! Very Cute!! 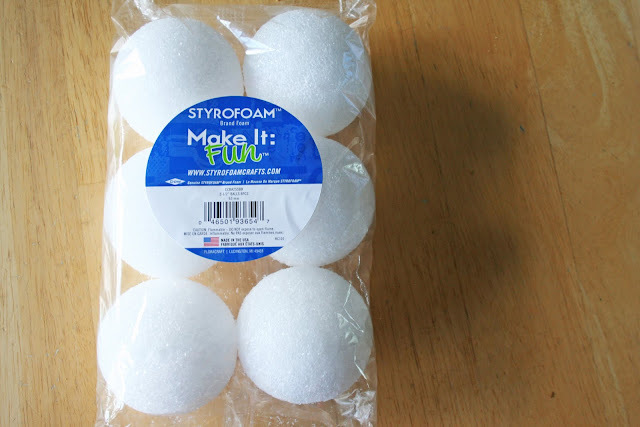 Do you think it would work to spray paint after you had wrapped the styrofoam balls? I bought some styrofoam balls just for this purpose! 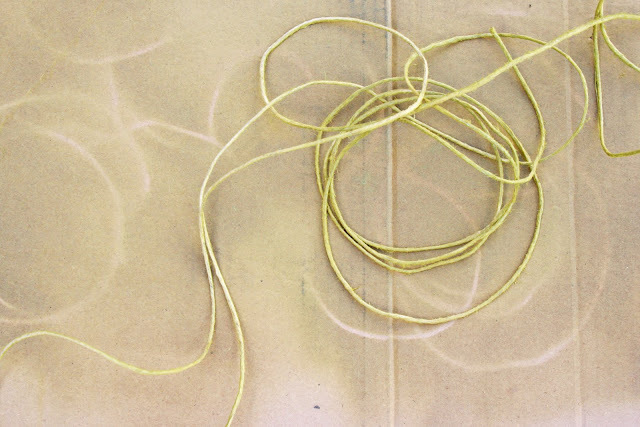 I never would have thought of spray painting the twine. What a great idea! They turned out just gorgeous!!! great idea...thanks for making it easy and cheap! I had a reader of mine ask if there was a cheap way to do this, and I was thinking of working up a tutorial, but now I'll just refer her to yours. I'll post a link to this on DollarStoreCrafts.com later this week. 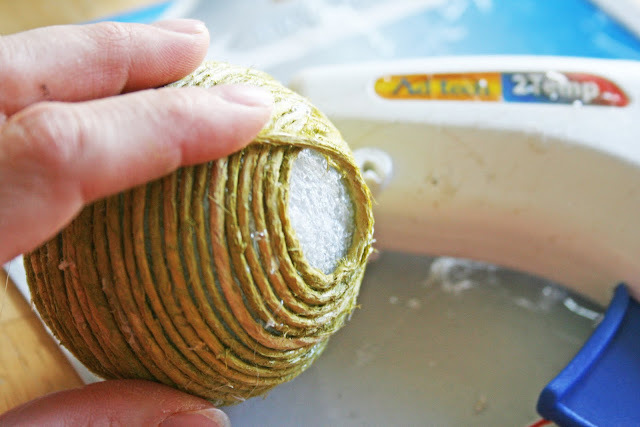 I did the same thing on a small indoor plant pot-- I used up the last of the hemp spool I had from my 1990's hemp necklace craze. Have you seen the styrofoam cones? At Christmas you can make "trees" in this same way...Adorable! Really cute. 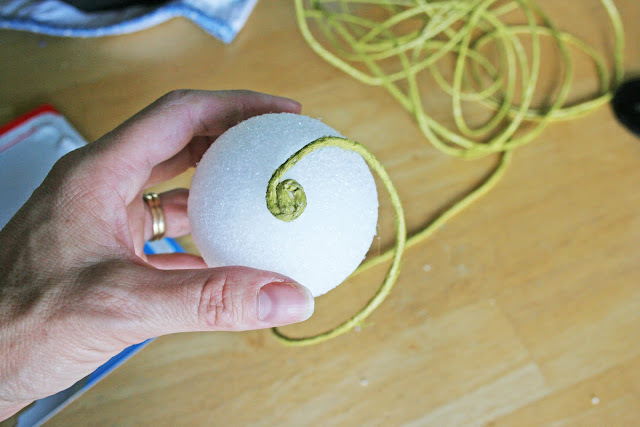 I've seen this done also with styrofoam eggs wrapped with colored embroidery floss for Easter. LOVE, LOVE, LOVE this idea!!! I so need to try it b/c I have the perfect spot for them. SO DARLING!!! Don't think I am a hater...but wouldn't it be more easy to spray paint after? Prop on the top of a milk jug and SPRAY!? Great tutorial as usual! I love the accent color in the basket!! Maybe I'm dumb, but wondering if it would be the same effect if you spray paint AFTER doing it? Spraying twine might be an exercise in futility for me! okay here are my thoughts as to why i did the spraypaint BEFORE i glued it on. 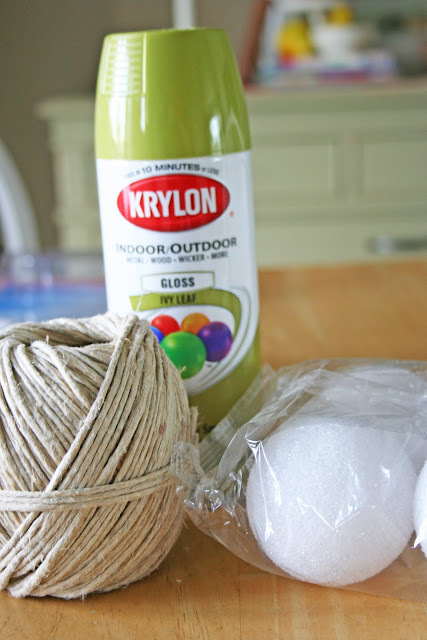 i'm kind of sloppy with hot glue, i just figured that some glue would get on the outside as i squish the twine on, with that said i figured that the glue would show up kind of tacky if it was spraypainted after wards. now most of you are better at hot glue than i am so go ahead and spray paint afterwards! Thanks for the lesson!! Will definately be making some of these. have a blessed day!! Aren't you smart! I think I can do that... thanks for the tutorial V. It's really cute. And who doesn't love Pottery Barn. Love this idea. Those cute balls are so expensive to buy. I'm definitely going to have to give this a try. This is my first time to your blog. I would love to have you present these on my new party The KNOCK OFF KNOCK OUT. WOW! Too cute! I'm going to make some of these for sure!! OH so cute! I'm glad you posted the color of your paint, I have some twine pears that I need to paint and I wasn't sure if the glossy would look good. It looks great! Great idea and beautifully presented! Great job! They look amazing. I love them. Another project to add to my list. I'm having a clipboard giveaway on my site if you'd like to come over and enter. soooo smart! 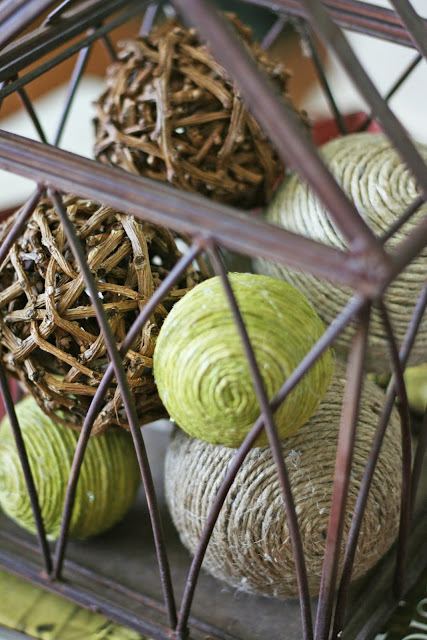 retailers charge major bucks for those decorative balls! First time here...where have you been all my life? You are definitely a girl after my own heart! LOVE this little tute. Cool, why i don't get these ideas? Well SNAP! That is fantastic! I love your ingenuity and you home decor!! I love these! I hope hope hope I ever get around to making them... (I always have good intentions! ;) Thanks for the tutorial, V! Love ya! Guess who's in the link luv roundup!!!! Love this diy! I LOVE this!! I'm so going to have to try this! Love it and love the blog! What an amazing idea! I'm totally going to do this! Wow you did a great job! I love making something for way cheaper than you would get at the store! I love the green! What a great idea! Very cool and I like the price better than pottery barn! Beautiful! And I love your blog! I have done some simular to these. I glued beans onto the balls. I used Pinto, Red beans and Black beans for some different looks. I also used a varity of sizes of balls and sprayed them the colors I wanted and then topped it off with a clear gloss. These make awesome presents!! I've only been in PB once, and it was way out of my league. :>) But their stuff is cute, and I LOVE how you did this on the cheap! I linked to it on my weekly roundup - post is here. Thanks! ok i have had this page bookmarked since...forever! and i just made some balls for christmas! red, purple and gold! they look awesome! thanks! I LOVE THEM! I'm about to head to Hobby Lobby.. I'm glad I checked this out first, I just added to my list!!! And, isn't that spray paint the BEST?! I'm so glad they have such a wide variety of colors now!! You are so creative, I'm so impressed by all your different tutorials and the creativity you put into them! 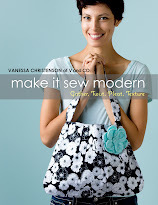 I'd like to share a link to this tutorial on sewwhattoday.blogspot.com on February 5! Ever thought of making one with ribbon? Great tutorial! I made a few already following your lead. Where did the metal/wire house you have the balls displayed in come from? It would be perfect for an empty spot on my shelf! Wow! 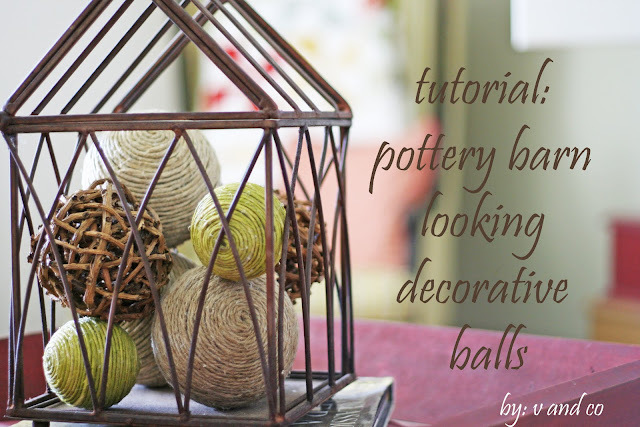 I got the inspiration to make my own decorative balls from looking at Pottery Barn magazines. I came across your tutorial from a google search. Thank you so much for posting this! It's going to be really helpful when I go to make my own. I really like the green ones you made! 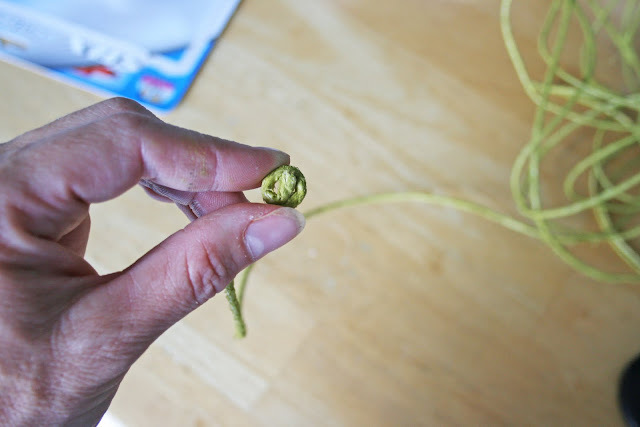 I know you made the twine ones, but you didn't also make the twig ones too did you? lol.